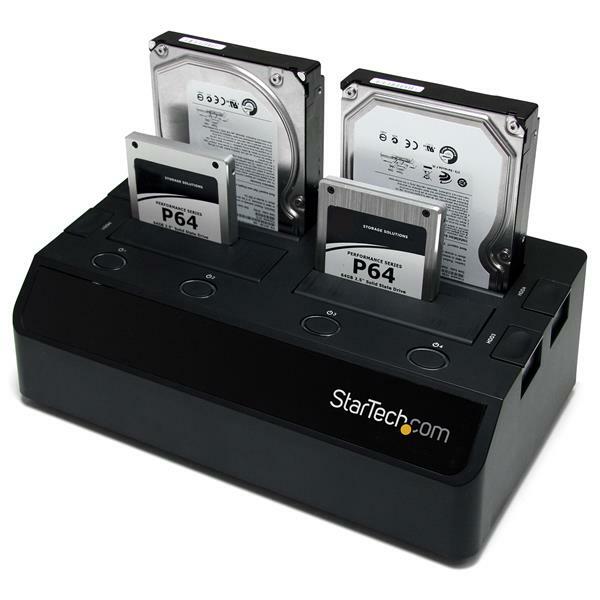 The SATDOCK4U3E eSATA and USB 3.0 4-Bay SATA Hard Drive Docking Station is a convenient, time-saving storage solution for 2.5-inch and 3.5-inch SATA hard drives (HDD) and solid state drives (SSD) allowing for up to 4 SATA drives (tested with up to 4TB 3.5" and 1TB 2.5" drives per bay) to be conveniently and quickly connected to a host computer through a single connection. 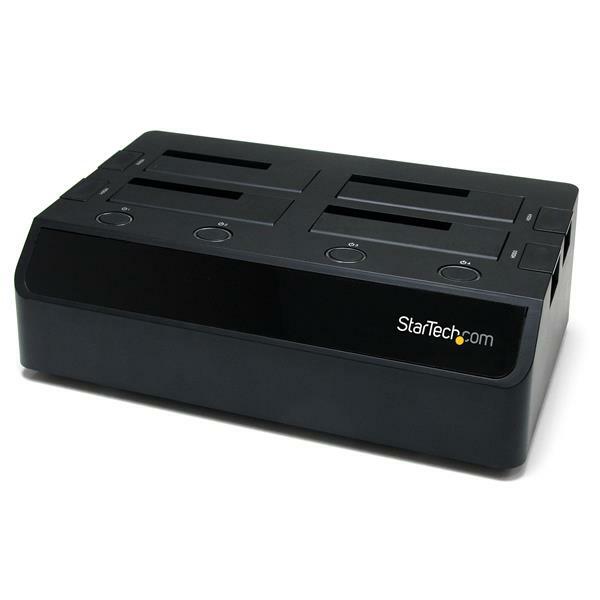 The hard drive docking station features SuperSpeed USB 3.0 connectivity (also compatible with USB 2.0) with support for data transfer rates up to 5Gbps (10x faster than USB 2.0) or eSATA with Port Multiplier connectivity (up to 3Gbps), to provide fast connectivity to all 4 hard drives simultaneously. 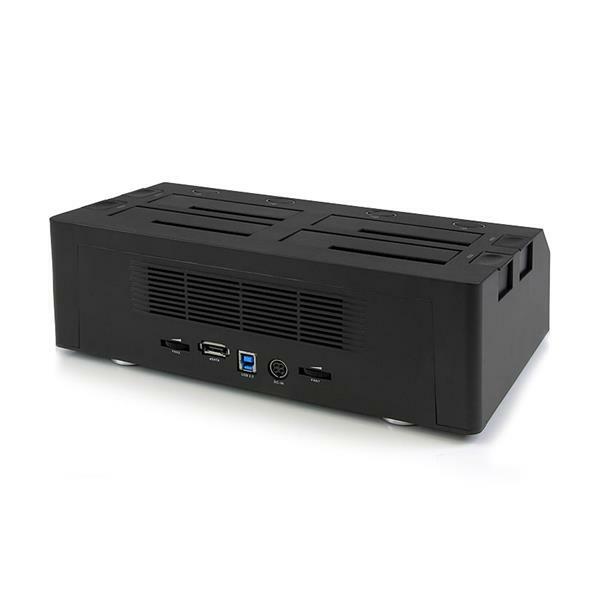 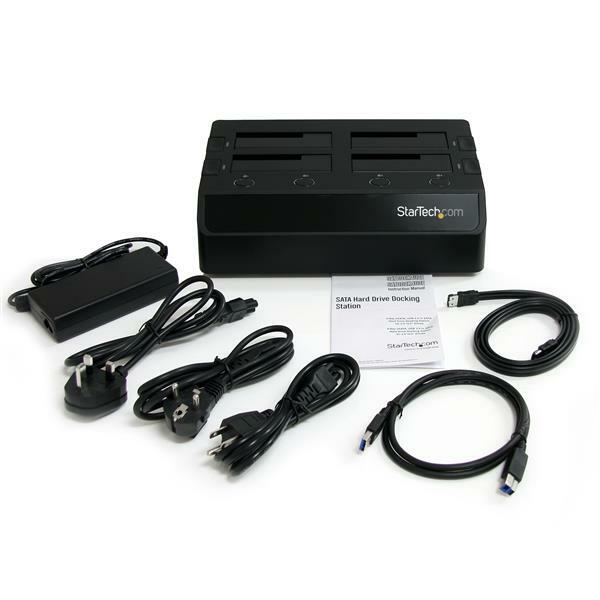 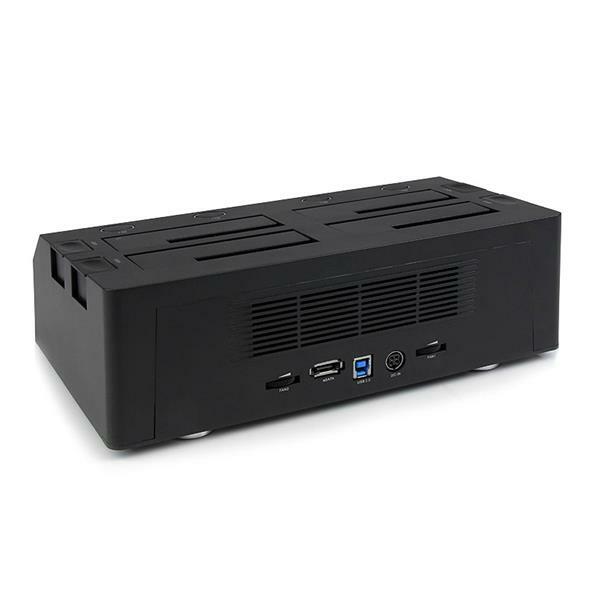 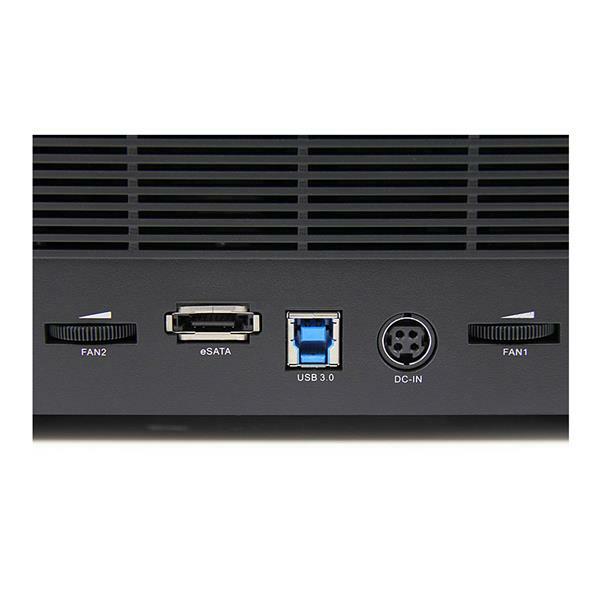 The eSATA/USB 3.0 SATA hard drive docking station also features dual built-in, variable-speed 60mm fans that can be manually adjusted to keep each drive running cool, depending on the drives and operating environment, or turned off completely. 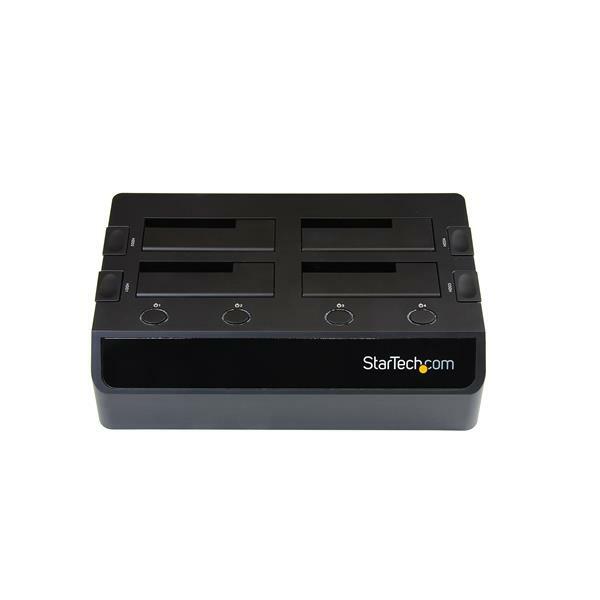 Double the value of this hard drive docking station, using a SATA to IDE hard drive adapter (SAT2IDEADP), which enables you to use any 2.5 or 3.5in IDE hard drive in a SATA hard drive dock slot. 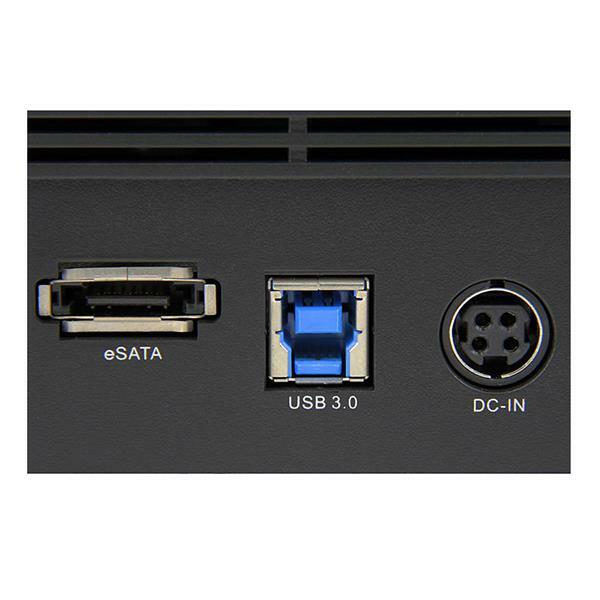 Note eSATA connections require the host computer to support Port Multiplier technology, otherwise only one of the hard drives will be detected.